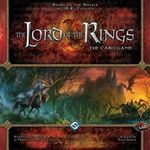 LOTR LCG GeekGold for your decks! 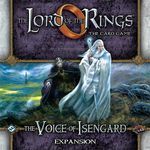 I'm enjoying playing LOTR LCG solo, but given the fast pace of new releases, it's easy to fall behind. The inspiration for this list is the fact that I couldn't easily find any convenient place on the web that lists solo decks for each release MADE FROM CARDS ONLY AVAILABLE AT THAT TIME. I'd like to go back and play some Watcher in the Water scenarios, for example, but only with cards available when that release came out. 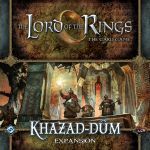 In addition, I'll allow multiple core set cards to be included (I own 2 myself). Hopefully this list will prove useful to others interested in successful deck construction. 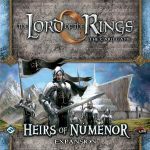 Please add your deck to the comments section of the relevant release. Specify which of the 3 scenarios your deck has defeated. Specify which scenario your deck was successful against. Bonus geekgold to decks beating all 3! Specify which of the scenarios your deck was successful against. Bonus geekgold for decks which have defeated all 3!